Sam Andreades, 85, of Tinton Falls, passed away peacefully on October 22, 2018. He was born in White Plains, NY to the late Andrew and Anna (Gropper) Andreades. Sam received his Bachelor’s degree from Yale University in 1955 and his PhD in Chemistry from the University of California, Berkeley. Sam moved with his family to Wilmington, DE in 1958 and they settled in Red Bank, NJ in 1971. He worked for the Photo Products Research & Development Division of DuPont Chemical Company in Parlin for thirty years. In his work there Sam acquired several patents. Sam enjoyed aviation and acquired his own pilot’s license. He was skilled with electronics and repairing automobiles. In his curiosity, he developed passions for many pursuits, such as skiing, wine-making, bread-baking and playing blackjack. 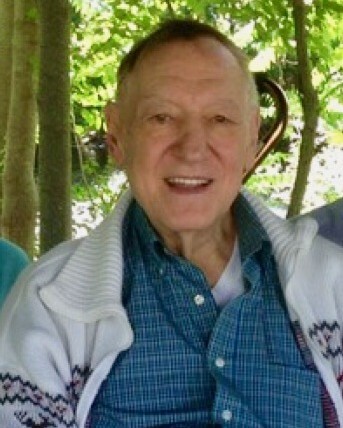 He is predeceased by his beloved wife Anne Marie Andreades in 2013, and his siblings Al Andreades and Dorothy Compitello. Surviving are his loving children: Daryl Andreades, Jean Schmidt, Lynne Andreades, Rev. Dr. Sam A. Andreades and their spouses. Also surviving are his 10 grandchildren, 3 great grandchildren and many extended family members.